When one person in a family is ill, the whole family is affected. A way to shift the focus away from the patient and reunite the entire family unit again is through family retreat programs. 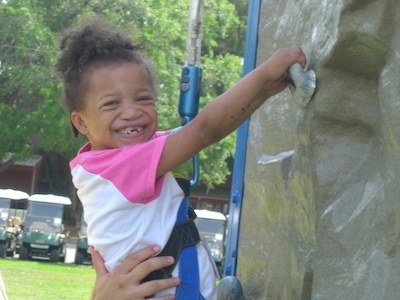 Though there are hundreds of special needs camps in the United States, there is a huge shortage in programs that address the needs of the entire family unit. What is a Family Retreat? Family retreat weekends are a combination of traditional recreational activities like hiking and fishing with therapeutic workshops, peer-to-peer discussion groups and expressive arts and music activities. All activities are structured to enhance coping skills, reduce stress, and cultivate relationships. The life training and emotional support that families receive from retreats and the activities that the families encounter during that experience far transcends the families. Positive outcomes reach every person they come in contact with as they continue to practice and teach others healthy and happy living methods, while still being able to face the challenges of having their own seriously ill family member. During retreats families also create support groups throughout the weekend, which allows families not only to feel better, but also be more equipped to deal with their crisis or illness. It allows them to focus on each other instead of the illness itself. The weekend shows them how it is not only the person with the crisis or illness who is affected, but also everyone in the family, from siblings to parents and spouses. There are many key outcomes and benefits for families who attend retreat weekends, which can include gaining relief from the overwhelming stress, strengthening the family support system, minimizing feelings of isolation, learning valuable communication and coping skills, and, most importantly, developing lifelong friendships with the other families they share the retreat experience with. Families who attend retreats get to take a break from their everyday lives, away from the doctors’ visits, hospitals and overall stress. They get to spend time together, as well as meet other families who are all in similar circumstances with a family member living with a similar illness. On retreats, families participate in team building games and therapeutic workshops. A safe space is created for individuals to open up and express themselves that they often wouldn’t have felt comfortable in doing at home. This is ultimately what all retreat weekends are about–bringing families together to show them that they are not the only ones in a similar tough situation. An example of a family retreat program is Deliver the Dream, a Florida-based nonprofit organization that was established in early 2002 by Pat Moran. The free three-day retreat program brings families living with a serious illness or crisis together. Since inception, the organization has helped more than 6,300 family members through its weekend retreat program. 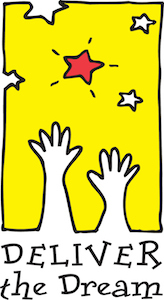 A unique quality about Deliver the Dream is that they do not stick to one crisis or illness like many organizations. On each monthly retreat, up to 15 families facing similar illnesses or circumstances come together. Each retreat focuses on a different condition, illness or crisis, such as Autism, Multiple Sclerosis, Cancer, Epilepsy, HIV/AIDS, Spina Bifida, the loss of a loved one, and many more. By touching such a broad spectrum of individuals with different circumstances, it is Deliver the Dream’s goal to–at least for the weekend–let kids be kids again, bring families back together, and create a support group within the other families so that they can learn to rely on one another once the weekend is over. Other family retreat programs are available throughout the United States. You can Google “special needs family retreats” and your location to find one nearby you. For more information on Deliver the Dream please feel free to visit http://www.deliverthedream.org/. How Do You Know Your Child Understands?